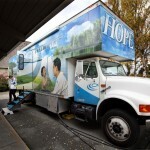 The Lynnwood Mobile Medical Clinic is on-site at the Community Life Center on Tuesday each week, offering free preventive and primary care, typically to uninsured patients with chronic health conditions. 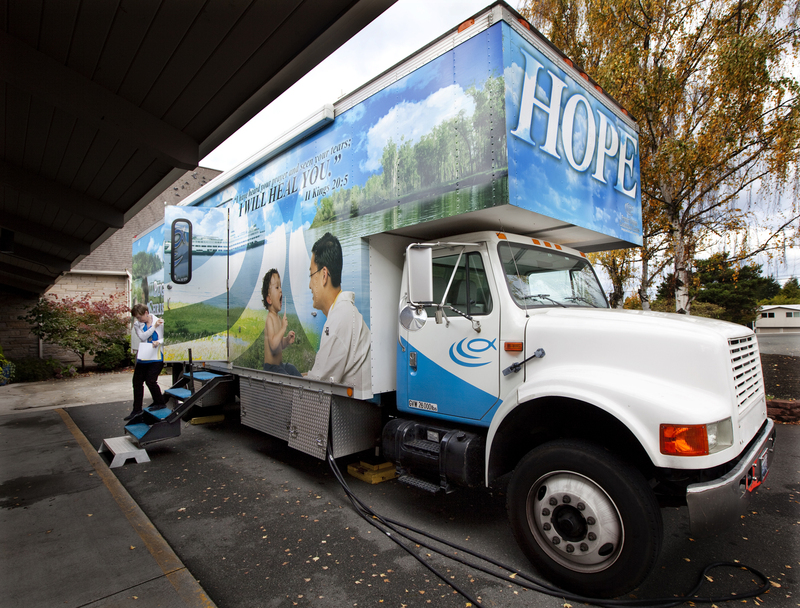 The physicians, physician assistants, nurse practitioners and nurses volunteer their time to support this clinic, which operates in other cities throughout the week and is overseen by Puget Sound Christian Clinic. The 40-foot mobile clinic is retrofitted and includes two exam rooms, a nursing station and a computer station, offering a comfortable and safe environment for the patients. The clinic is located at the Community Life Center on Tuesdays. A volunteer physician assistant sees a patient.